3. When you hear a "Beep", which means the connection was set up successfully, and then you can start to fly your drone. ✈ STABLE FLGHT SYSTEM: The furibee f36 drone adopted for 6-Axis gyroscope,strong stability, stronger wind resistance and ease of control,so that you can enjoy the easier flight . ✈ HEADLESS MODE: This mini rc drone by using Headless, the forward direction has nothing to do with nose direction. The direction will be the same as your remote controller. ✈ ONE - KEY RETURN: With built-in positioning system, the mini drone can auto locate the remote control, just press the one key return button, the drone will fly back to the remote control's location. ✈ FLYING TIME: Flying 5 - 6 mins after per one charge; with the USB charger,you can charge out of anything ; the rc quadcopter operating range is about 100 ft(30m). 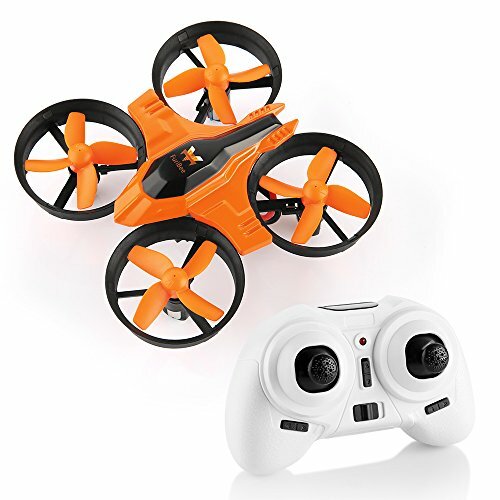 ✈ 360° ROLL-OVER: Just press the button on transmitter, and you get 360-degrees Flip, continuous roll for perfect action and wonderful performance.You could fly it indoor or outdoor, It will be the best drone for kids, best gift. If you have any questions about this product by Gearbest, contact us by completing and submitting the form below. If you are looking for a specif part number, please include it with your message.